Star Wars Celebration 2017 Set to Take Place in Orlando! Guest and event announcements for Star Wars Celebration 2017 in Orlando will begin soon at StarWarsCelebration.com and StarWars.com. 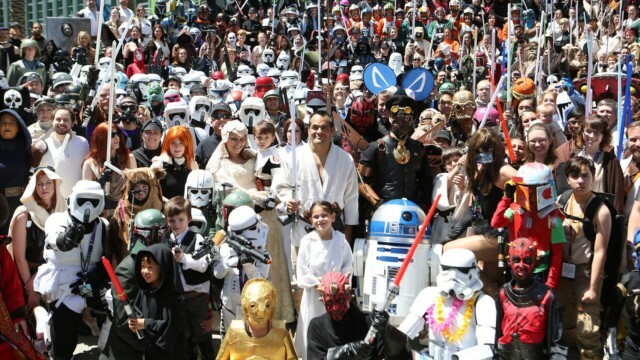 Last year’s Star Wars Celebration in Anaheim with an estimated 50,000 fans in attendance. Much of the event was live streamed on StarWars.com where a number of trailers made their debut including the second teaser for Star Wars: The Force Awakens, an official reveal of Star Wars Battlefront, and the first look at Rogue One: A Star Wars Story.